February 2014 – Food from Home blog! Grab a spoon, this is going to get messy! When I think of French baking the main ingredients come to mind flour, butter, Eggs, Sugar and Spice. Each one is carefully chosen to achieve a result of texture and flavour, it is these same carefully chosen ingredients that are used to achieve perfection and excellence in quality. French patisserie is taken very seriously and for a chosen few it is a way of life. 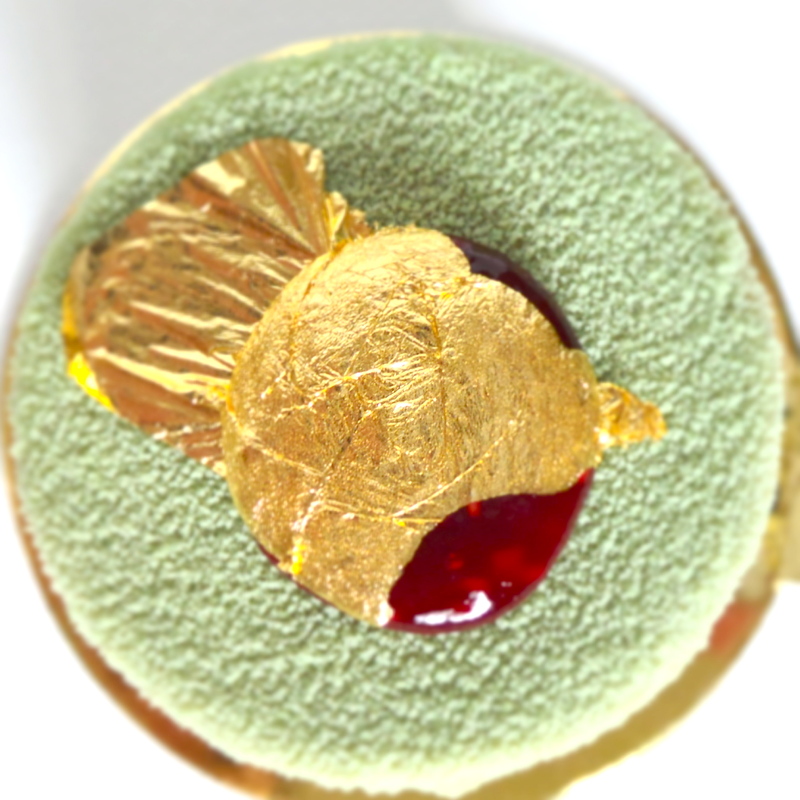 A modern revolution has taken place amongst pastry chefs which have chosen to push the boundaries of french classics producing elaborate masterpieces which are encased by an explosion of colours and flavours. The treasured bakeries are more like emporiums pushing the limits of reinvention, giving a twist to grandmothers treasured favourite. Breathtaking make-overs creating show stoppers filled with the imagination of an artist. The showcase at Le Petit Gateau is filled with what one would only describe as a visual arts show. There are certain foods that create their own special aura, a world of wonder and a dilemma for the taste buds. Though we describe them as works of art and the initial reaction or comment made is “It’s too beautiful to eat”, a thought that Executive Pastry Chef Pierrick Boyer said “I wish they would just eat it, and enjoy the moment”. There is a kind of momentary sadness which dissipates very quickly as your fork is plunged into your chosen dessert. With a wave of delight the “Oh its too pretty” comments are very soon forgotten. Your mouth fills with the carefully matched flavours, and layer after layer the only thought you have is that this is an experience you only wish it wouldn’t come to an end. I took the opportunity to spend a day at Le Petit Gateau and the team, its always a challenge to see if given the opportunity would I enjoy this type of environment. Perhaps I had been watching too many shows where the fiery tongue of a chef was prevalent and the mishaps of contestants were highlighted with an over regimented barking of orders would echo through the kitchen. Ok so a little nervous thought did travel through my mind. I must stop watching those shows! I was greeted at the door 7.30am on the dot with huge smiles and a warm friendly welcome. With a shot of coffee under my belt and the guidance of Kim the day began. Armed with a list for the day I was more than happy to take my orders. Im happy to say that looking back the day consisted of spreading sponges, quenelles and dressing plates with consistent perfection, preparing Bomb Alaska, making meringue and vanilla bean garnish, Raspberry Souffle, biscuits and so much more! The team was amazing like a well oiled machine tasks were completed under the guiding eyes of Executive Chef Pierrick always there to advise and encourage. Before I could blink my day had come to an end. Exhilarated at the thought that I hadn’t buckled it was finally time to sit down and have a chat with Pierrick. 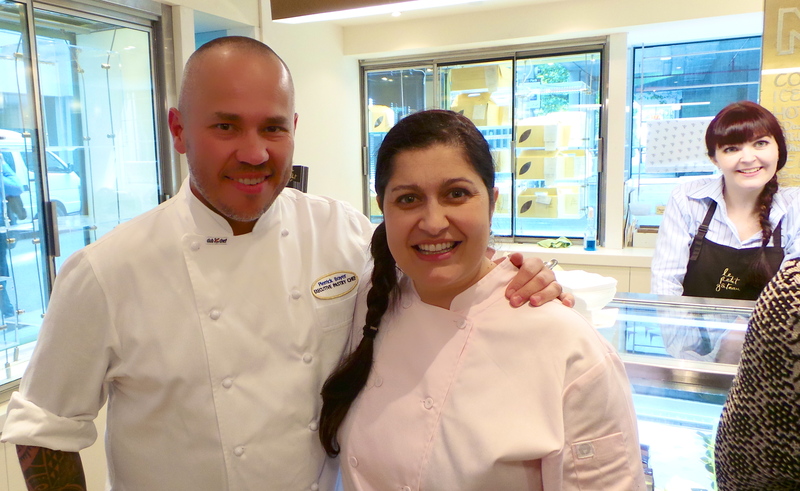 Q: Where or with who did you training to become a Pastry Chef? A: I did my training in France & Belgium, where I worked for a year, in Strasbourg, Brussel, Reims & Bordeaux, before I worked in Italy for 6 months. Q: Do you have the same passion for cooking as you do for baking? Q: If you had to choose one dessert as your favourite what would it be? 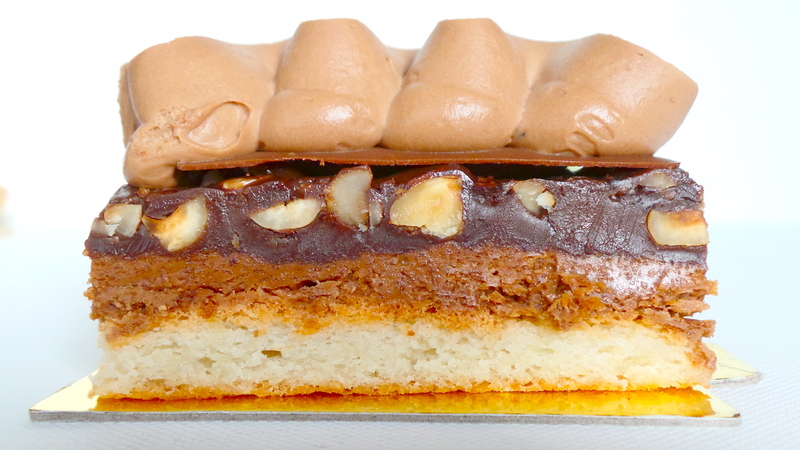 Q: Is Le Petit Gateau everything you have wanted to achieve or is there more to come? I have few food hero’s to like Jean Delaveyne, Michel Roux, Raymond Blank, Emmanuel Mollis, Alain Fabregues and yes Pierrick Boyer. They are the masters and even though French cuisine is recognised for its flavours, textures, and colours it is the composition of a dish and the presentation which will always takes centre stage the ability to modernise classic with artful intent. Le Petit Gateau has the “WOW” factor and sure to impress. I wish to thank the team a Le Petit Gateau and Pierrick Boyer for the kindness and warmth that they extended to me, and I look forward to seeing them all again very soon.